CLOSED. Congrats to FFC reader Jacqui Y. Did you know nearly 1,000 kinds of bats account for almost a quarter of all mammal species? How about that a single little brown bat can catch 600 mosquitoes in just one hour? If your child is interested in bats, than these trivia tidbits are just the tip of the iceberg when it comes to what they will learn about if your family heads to the Cincinnati Museum Center this weekend for BatFest! Saturday only, the Cincinnati Museum Center is celebrating all things bats, shining a much needed spotlight on one of the world’s most misunderstood creatures. Kids in attendance will have a chance to interact with real bats, meet with bat conservation organizations, watch flight demonstrations, and more. There’ll also be cavers climbing the Rotunda and special events in the Duke Energy Children’s Museum. Thanks to the Cincinnati Museum Center, one lucky Family Friendly Cincinnati reader will have a chance to take their children to BatFest, on us! 1) Leave a comment below saying you’d like to win. 4) Join our new Community Forum! That’s it, it’s that easy. Four ways to enter, one entry for each completed! Giveaway ends Thursday, October 27th at 8:30am. Winners will be selected using a random number generator and contacted via email that morning so that we can arrange for ticket pickup. Want to take your kids to BatFest?? BatFest runs Saturday from 10am to 5pm, with a variety of events and classes taking place throughout the day. 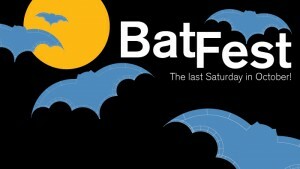 The entire schedule can be found online at http://www.cincymuseum.org/events/batfest11. 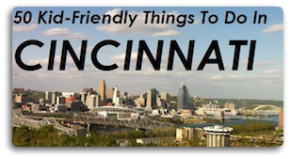 A special thank you to the Cincinnati Museum Center for providing tickets for giveaway on Family Friendly Cincinnati. Hello,I love to find out more on this field. I appreciate you for writing Cincinnati Museum Center Hosts BatFest Saturday (Win Tickets) | Family Friendly Cincinnati. Would love to win the tickets. Already on my FB list of likes as well as the newsletter too. We’d love to see all things bats! Already got you on FB and get your newsletter! I would love to take my son to batfest!! We always have bats in our backyard! Would love to learn more about them! We would love to WIN!!! I would love to win these! I absolutely adore bats, with their cute little faces. The fruit bats at the zoo are my favorite. Bats are the coolest animals, wish I could have a pet one! I have a pet flying squirrel and bats remind me of him. I subscribed to the newsletter and liked you on Facebook. Whether I win or not, I will be at BatFest Saturday. Thanks. I would like to win these tickets! Bats, bats, bats, bats, bats and more bats! I`d like to bring my niece & nephew to this event as they are new to Cincinnati and I would like them to experience the museum center . I should win because my husband is creeped out and I love bats! I should win because I love bats!! My daughter would love to win just b/c Mommy doesn’t like bats! And…signed up for newsletter and FB! We would love Grand to take our Grand daughters to see the bats. We would love to take our Grand daughters to see the bats. We would love to take our grandaughters to see the bats. I’d love to win! Thanks for the chance. Just joined the new forum! I like you guys on Facebook:). I’m a fan on FB and would love to win!! We would love to win. My son LOVES bats. I subscribed to your newsletter and now hang with you on FB! I’d love to go with my Wife and Neice and Nephew! Just joined the community forum! I scribe to your enewsletter! I’d love to win and take my Nephew…. I hang with you on facebook. So, I liked you on FB, Subscribed to your mailing list, will join the community forum and am leaving a comment. Yes, I’d love to win the prize…we love bats at our house!!! They keep the mosquitos at bay! Well heck yeah I’d like to win – who doesn’t LOVE bats?? ?